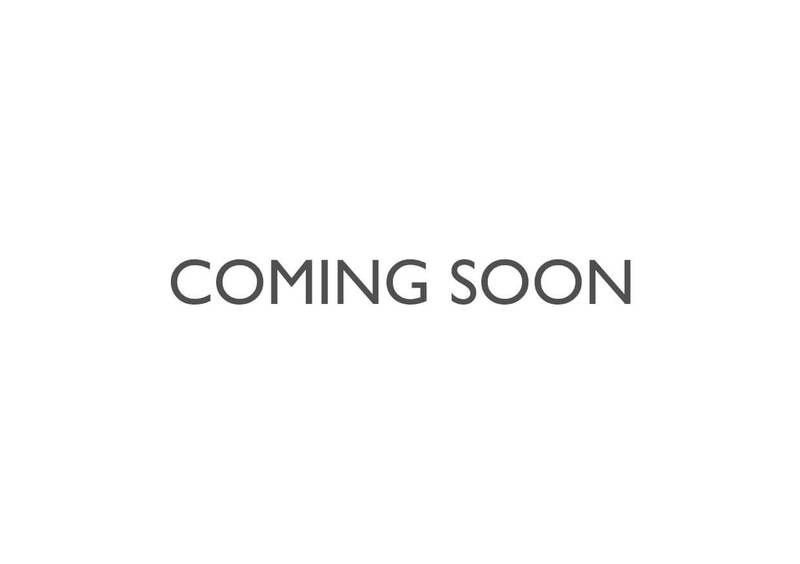 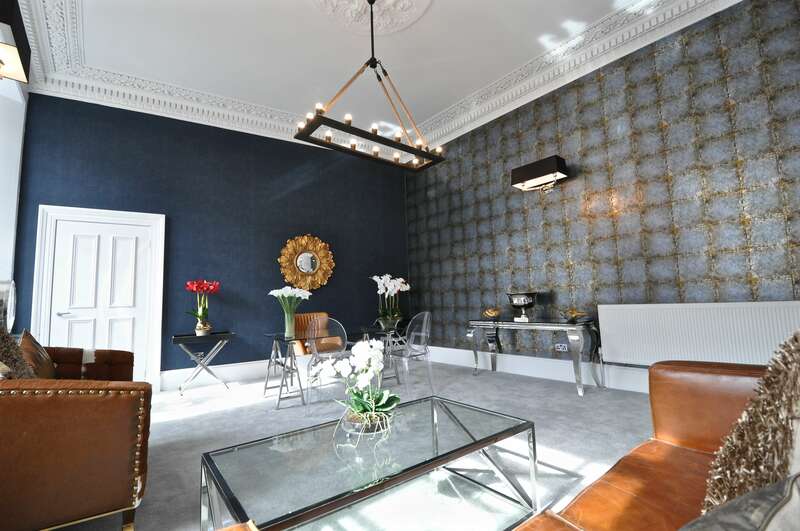 This fabulous duplex apartment set over the two upper floors of the development is accessed from its own entrance. 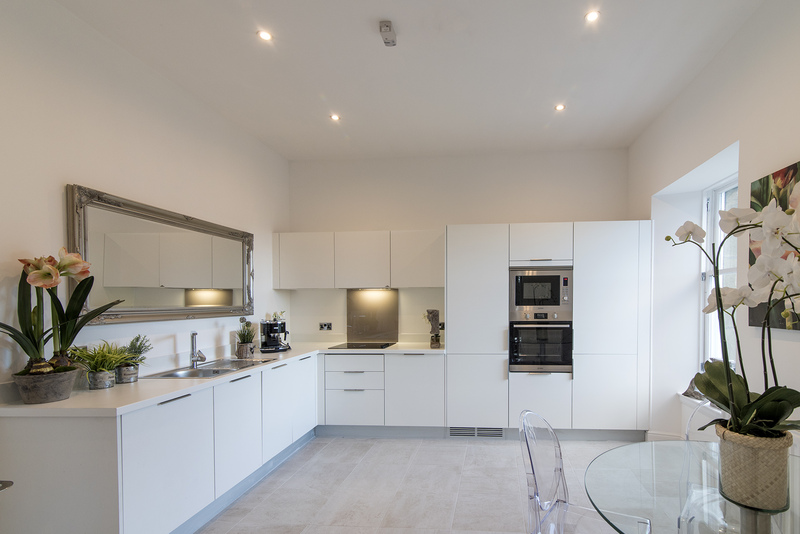 It is an expansive three bedroom apartment to be finished to the highest standards, featuring high end products from the likes of Porcelanosa. 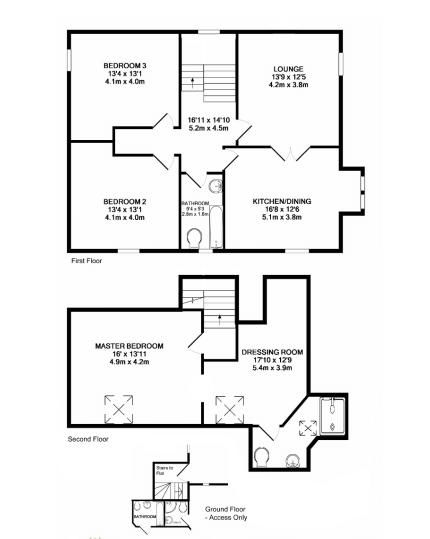 The apartment enjoys its own manageable lawn and grounds. 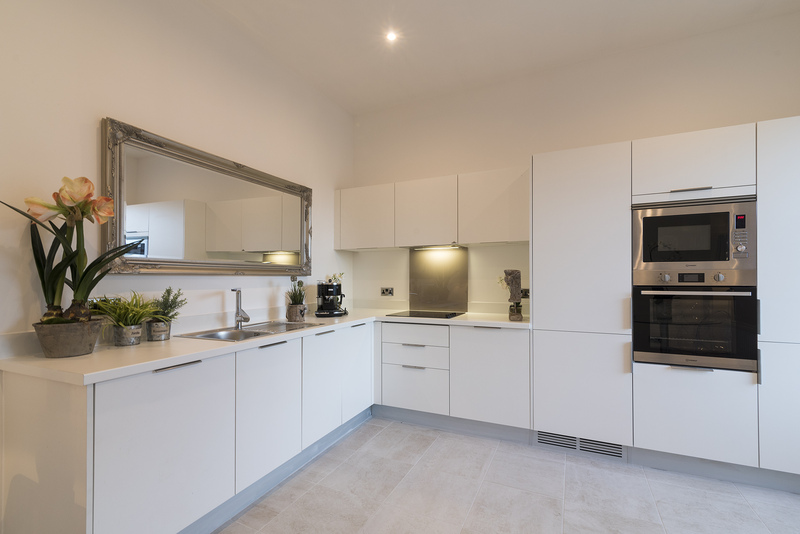 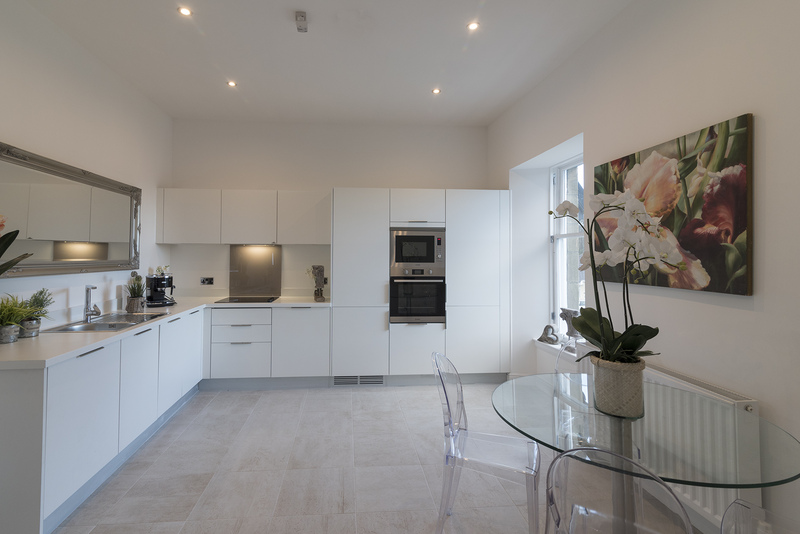 The sleek kitchen and sanitary ware can be handpicked from the Porcelanosa show rooms for a real bespoke finish befitting this prestigious development. 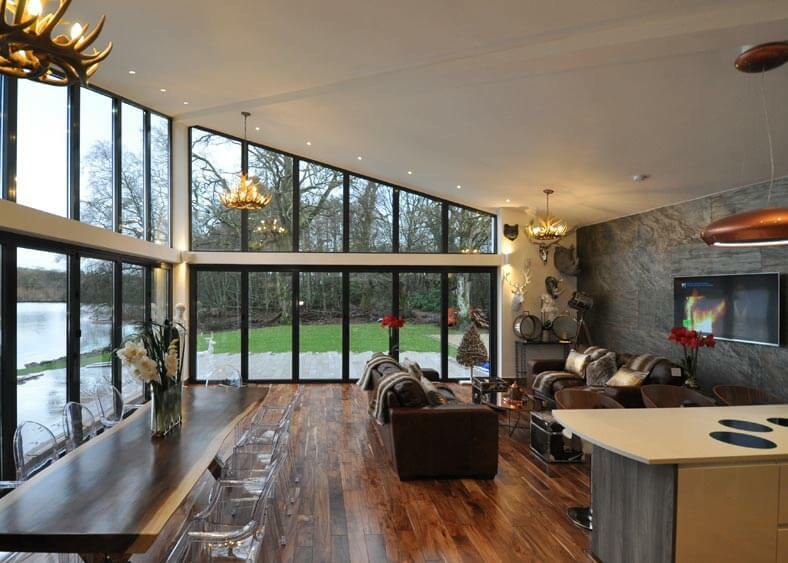 Off the kitchen, entered via double doors which enable an open plan feel, is a bright lounge with open aspects. 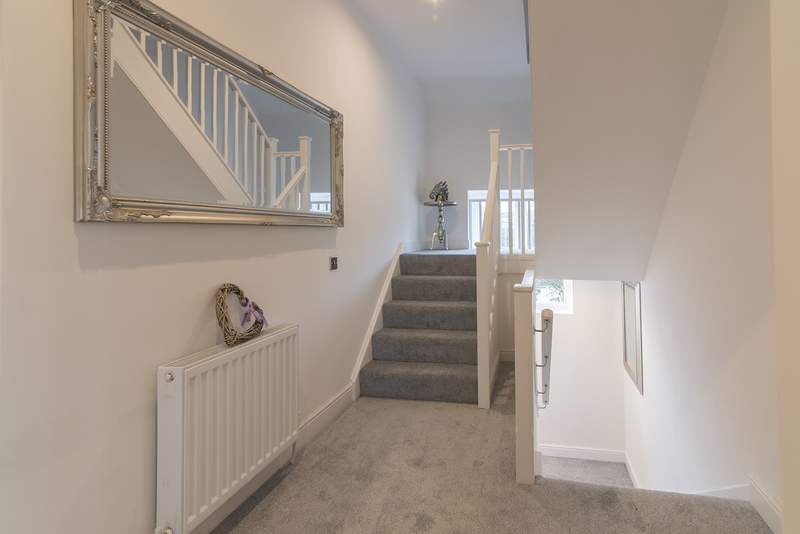 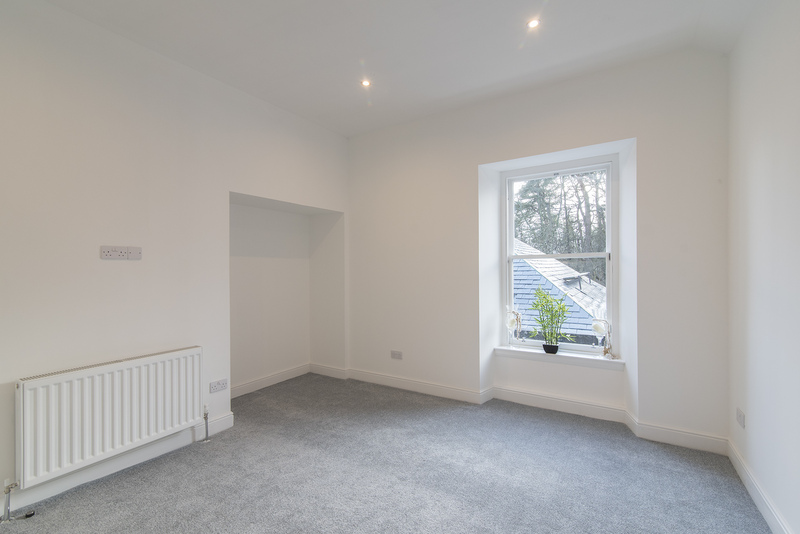 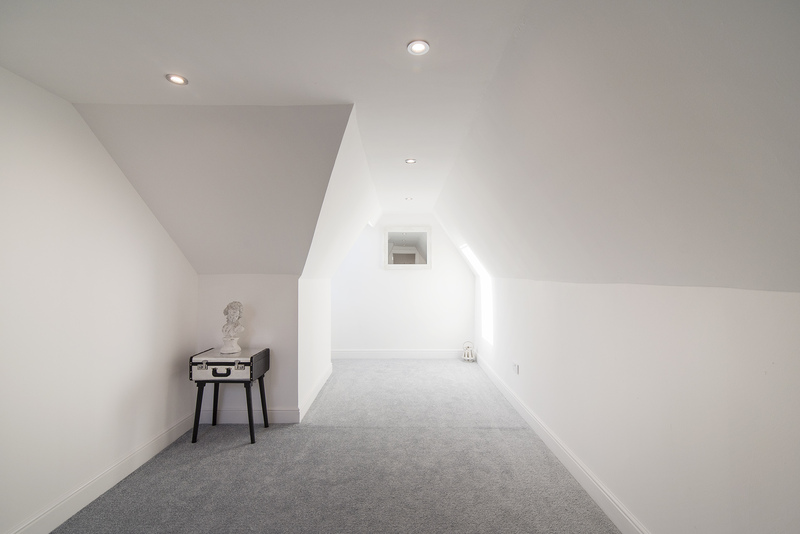 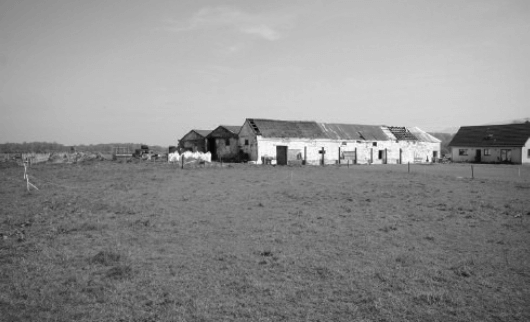 The two bedrooms on the first floor, are generously proportioned doubles and have plenty floor space for additional wardrobes and furniture. 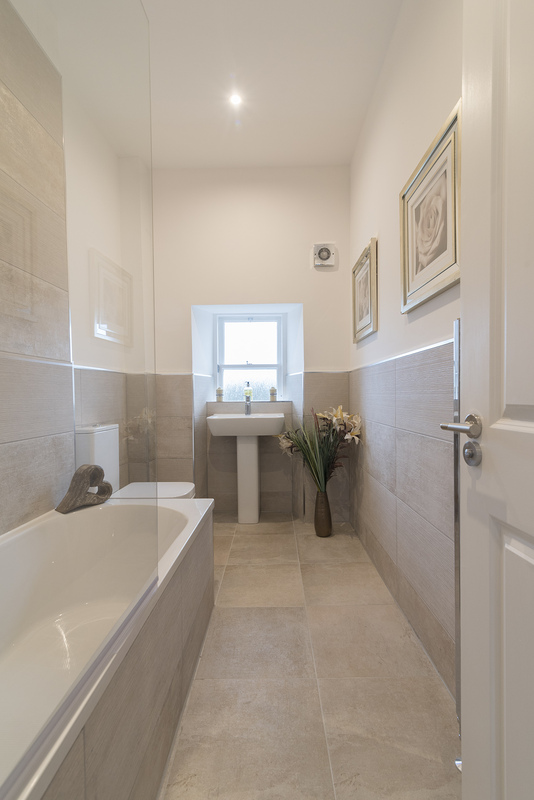 The accommodation on this level is further enhanced by a contemporary Porcelanosa designed bathroom including sanitary ware and tiles. 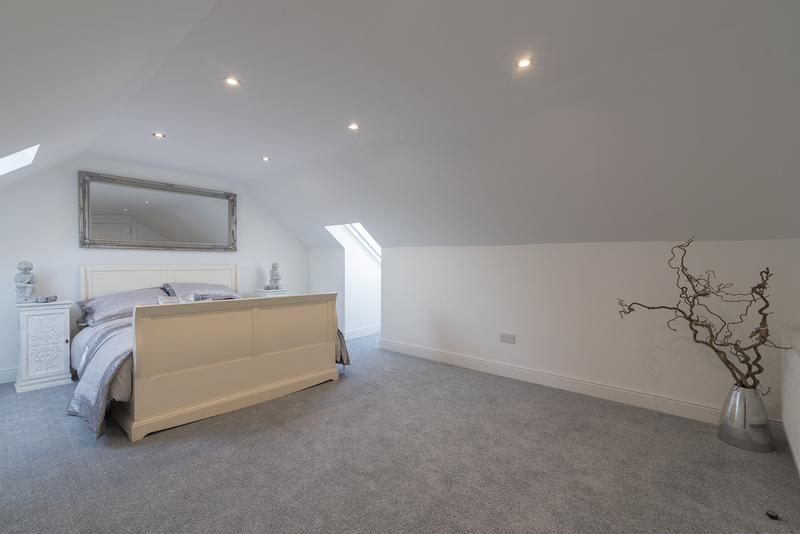 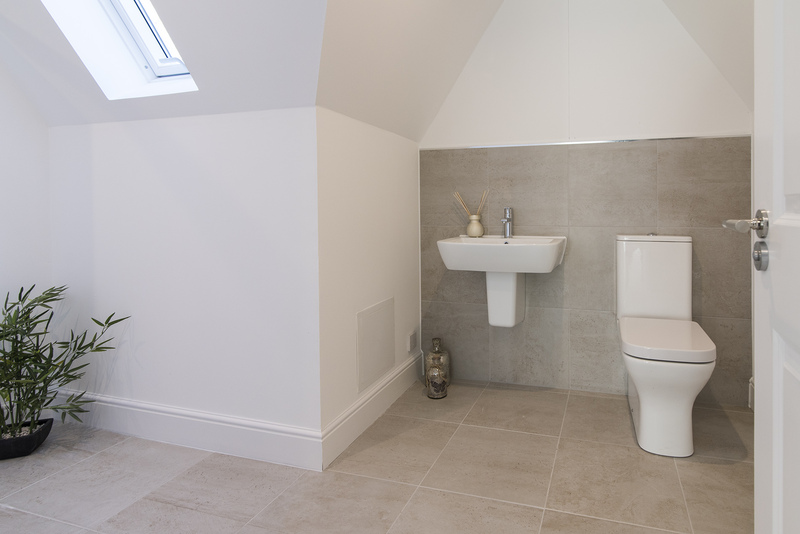 Completing this superb duplex, the upper floor master bedroom features a dressing area and stylish en-suite with wc, wash hand basin and shower and tiles also designed by Porcelanosa. 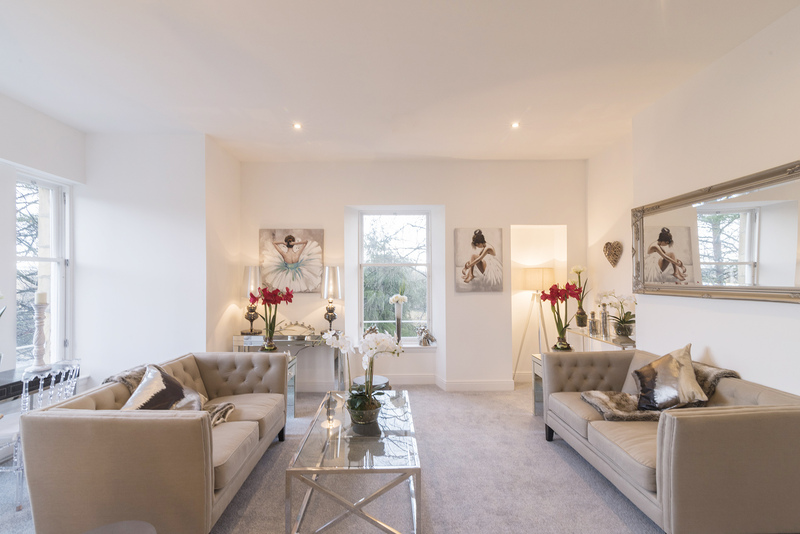 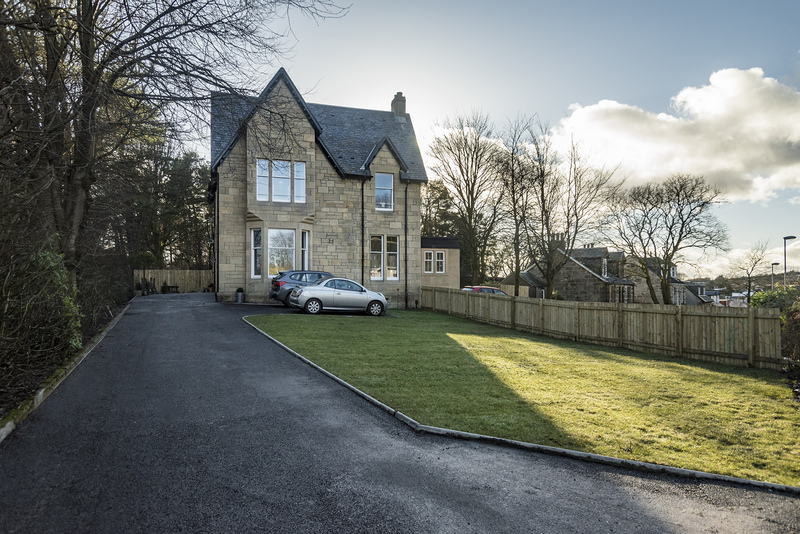 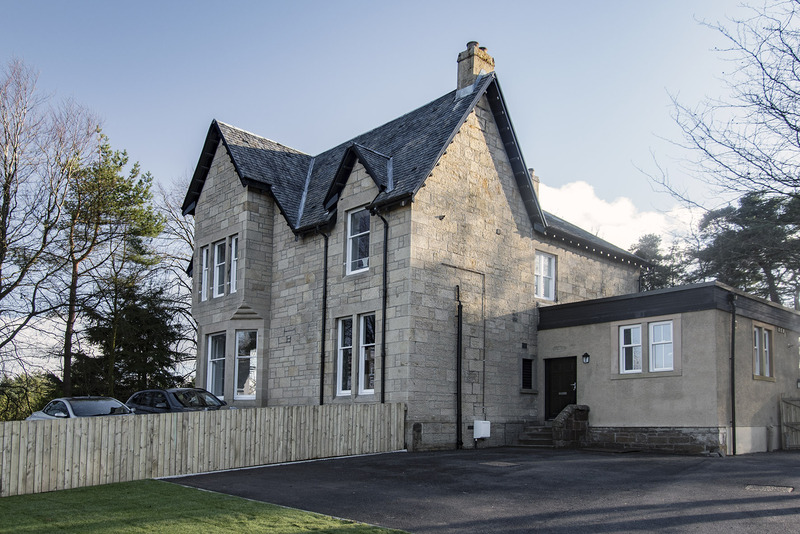 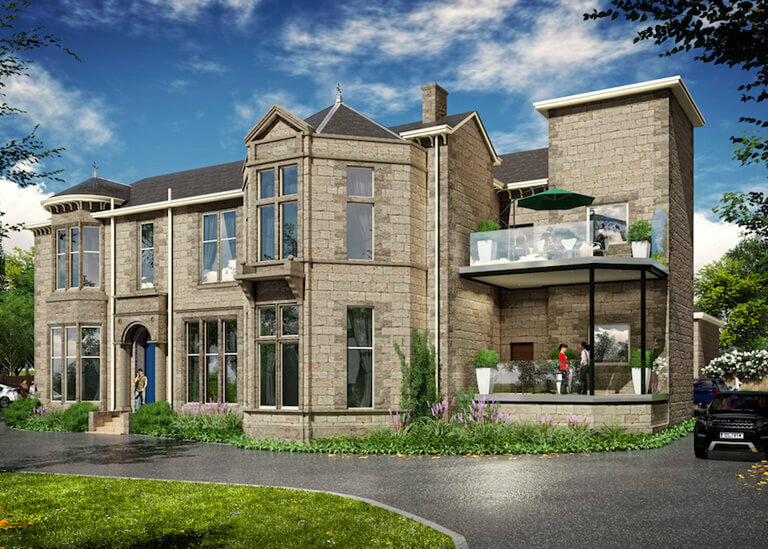 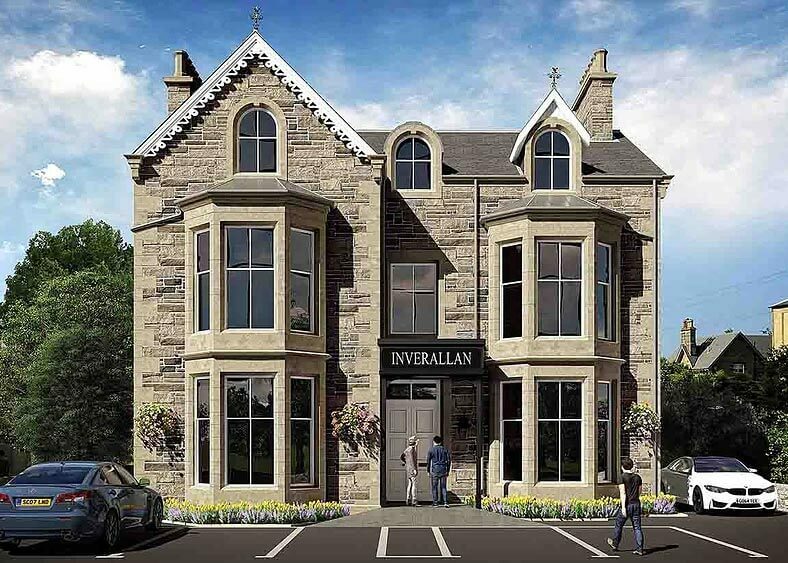 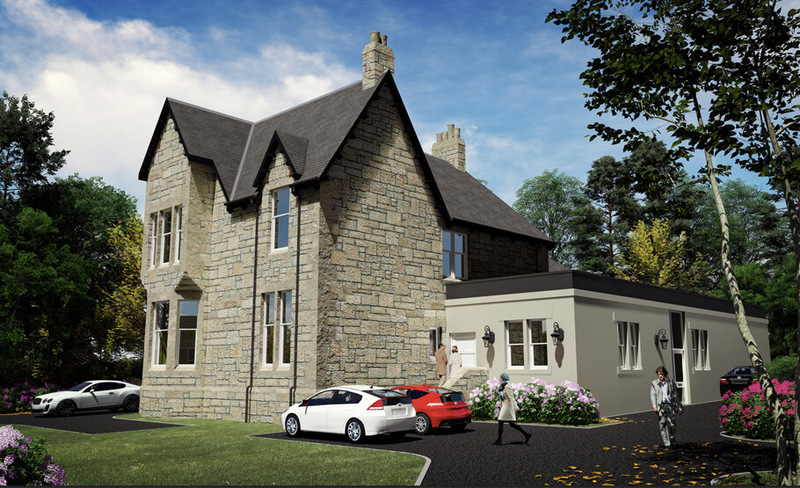 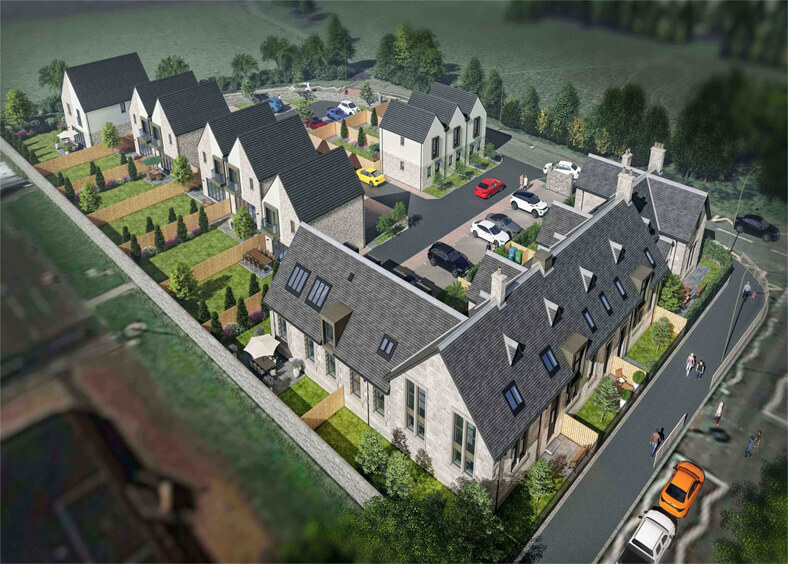 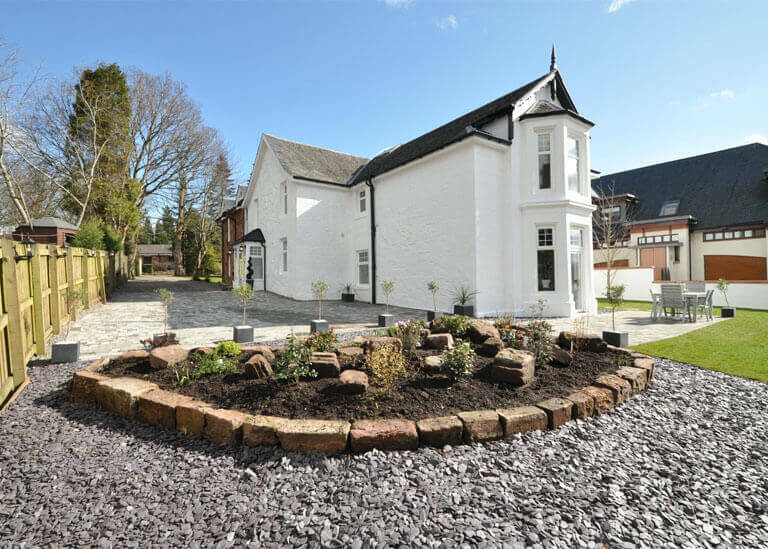 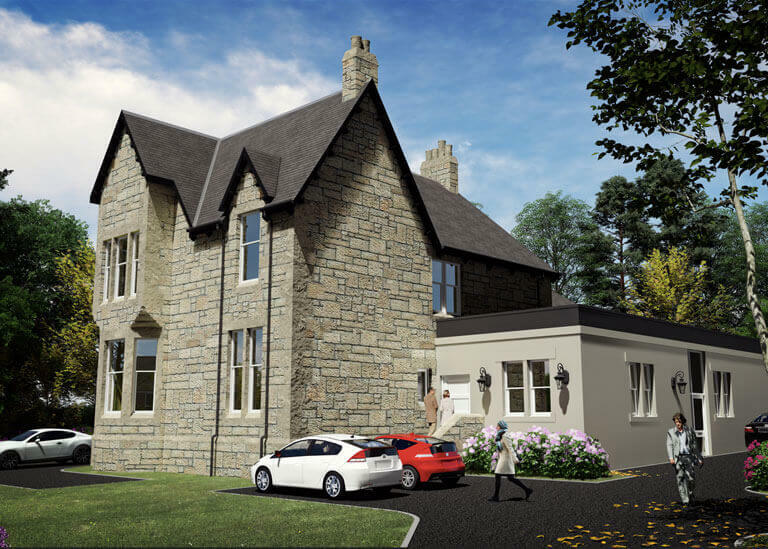 A bespoke development of three luxury homes within the conservation area of the original village of the popular Glasgow commuter town. 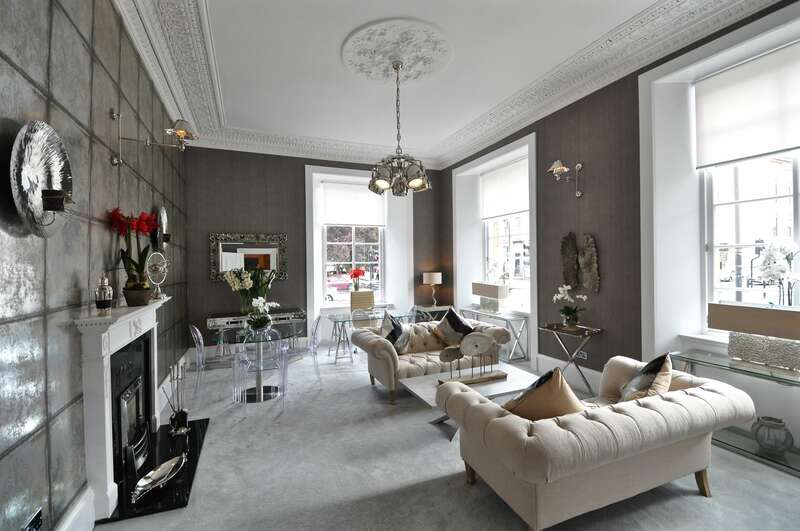 The building itself is a former Royal Bank of Scotland and allows us to create three very unique homes ideal for anyone travelling to Glasgow or Edinburgh. 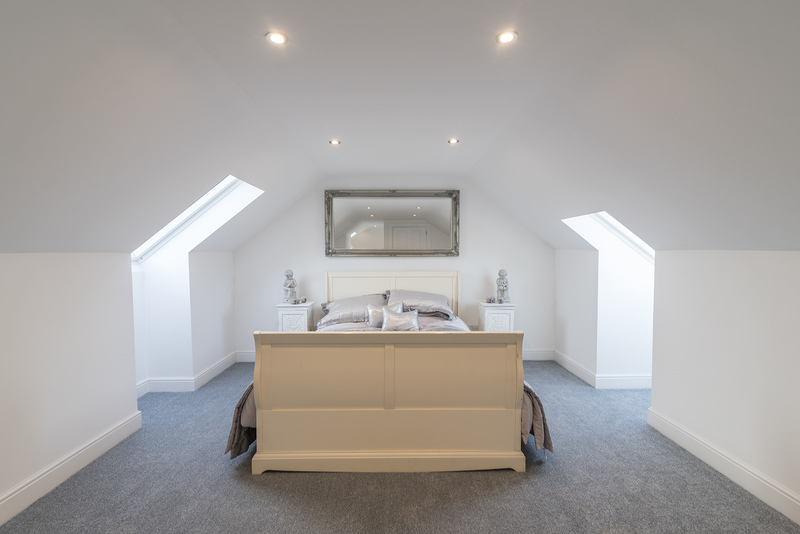 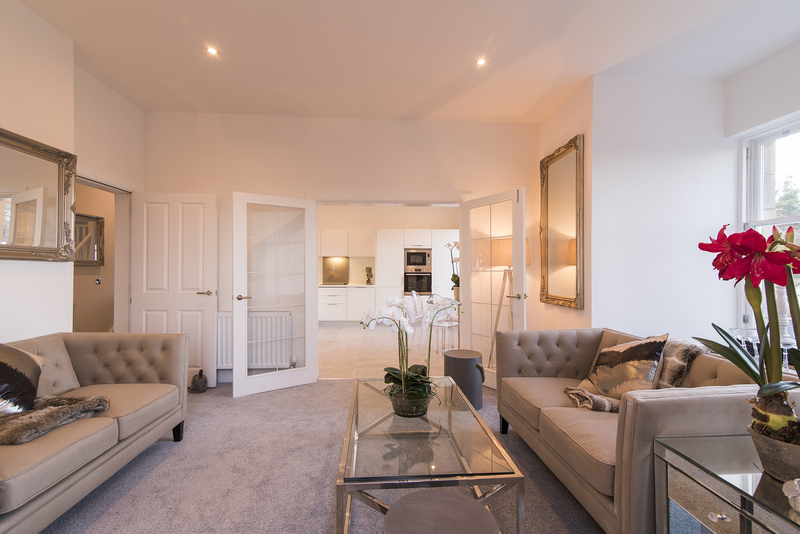 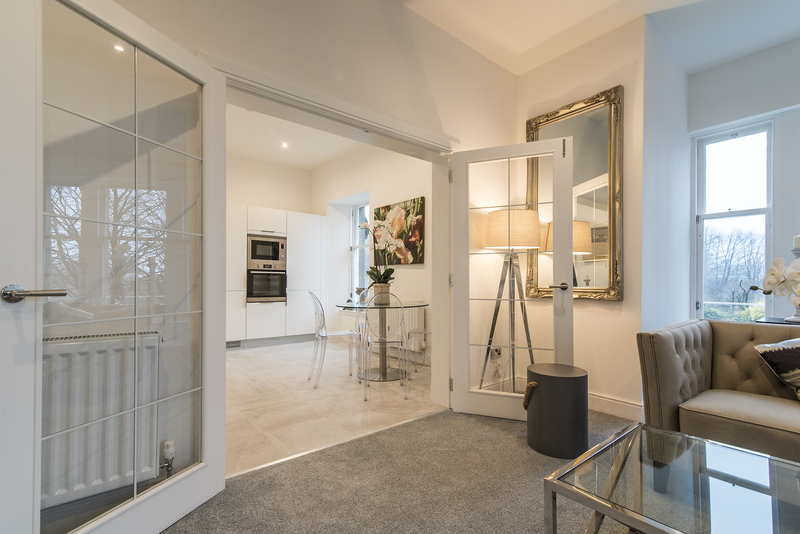 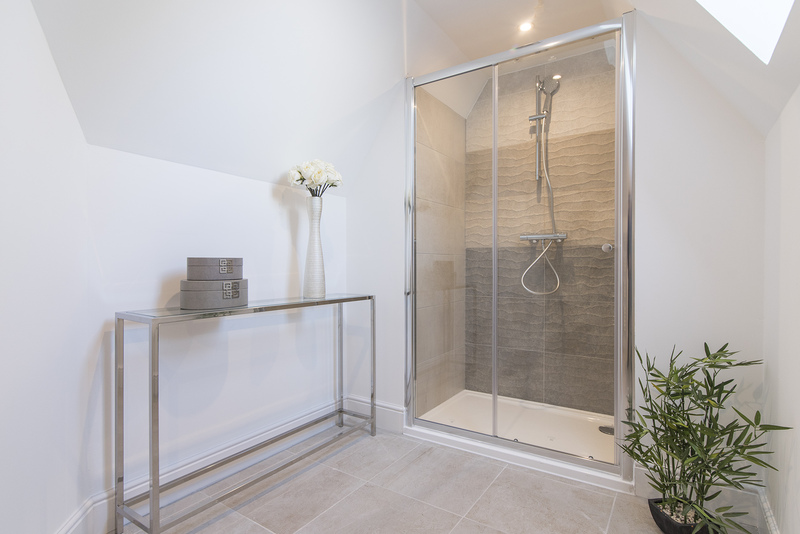 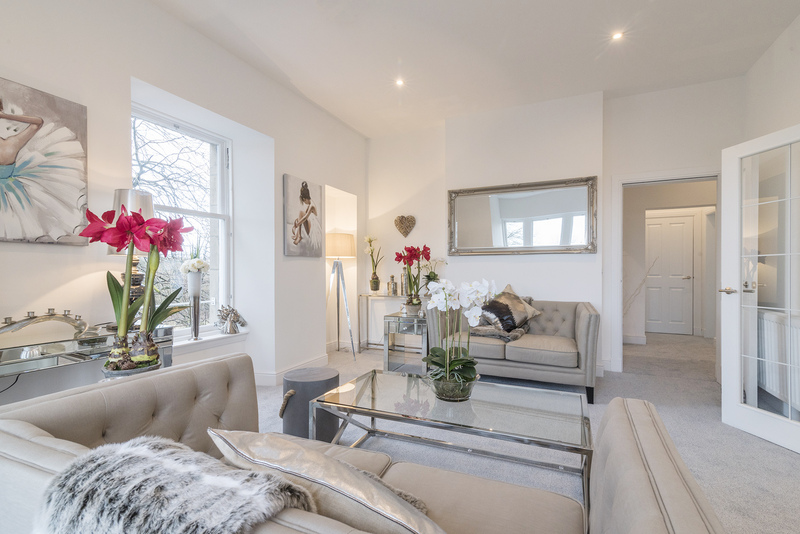 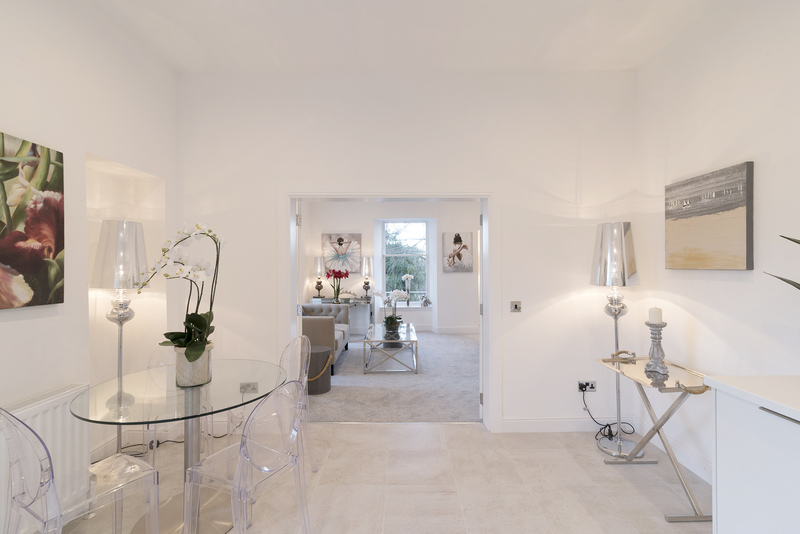 All of the homes will be spacious throughout and feature fantastic kitchens to entertain in, sumptuous bathrooms to relax and unwind in and generous bedrooms.